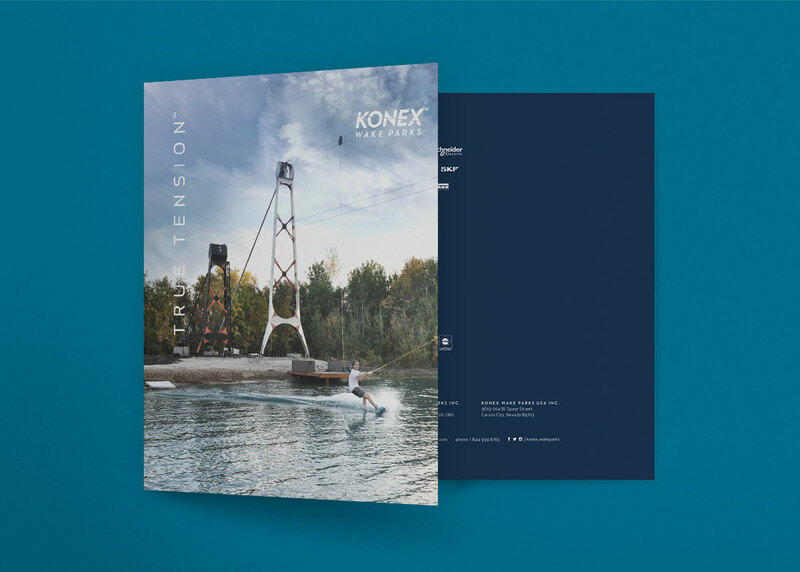 Konex is an innovative cable wakeboard park construction company based in Winnipeg, Manitoba. 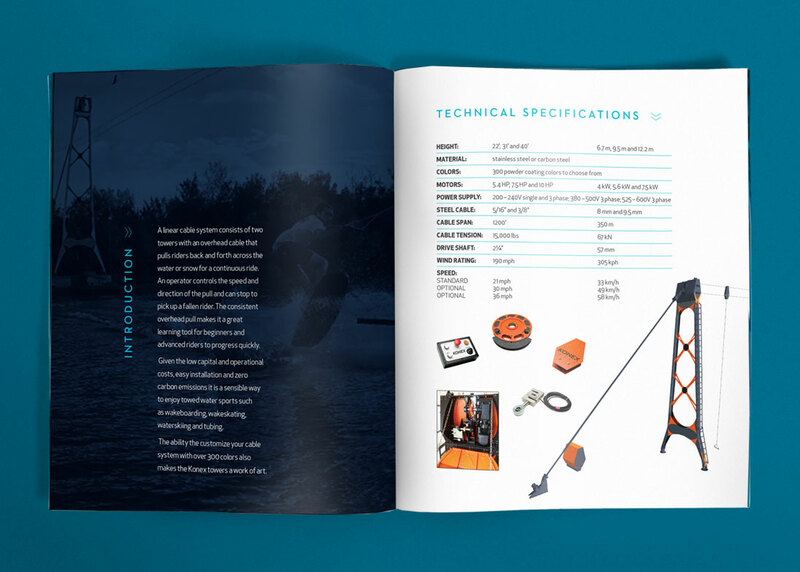 It is owned and operated by Daniel Kathan, who worked for Canada’s largest cable wakeboard park in 2010, and saw that the technology needed improvement. 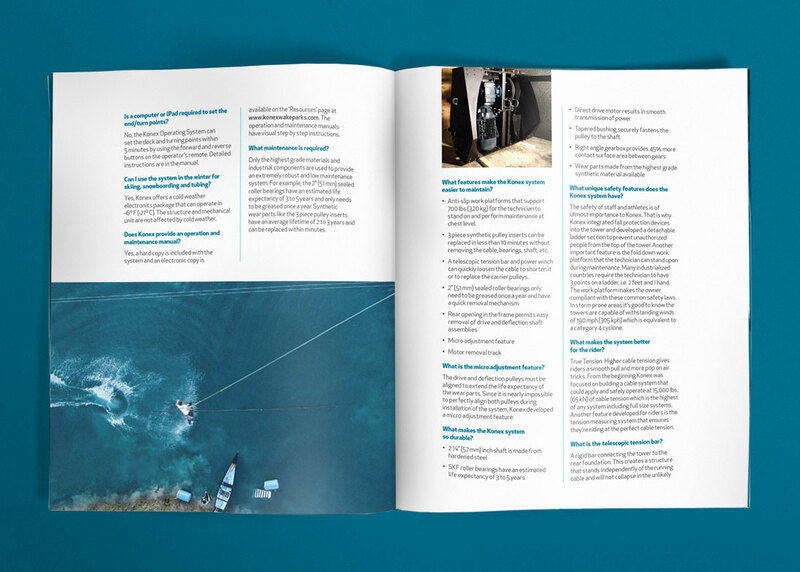 Alongside his father, he completed market research and did 18 months of validating findings to discover he wasn’t alone in believing improvements were needed. 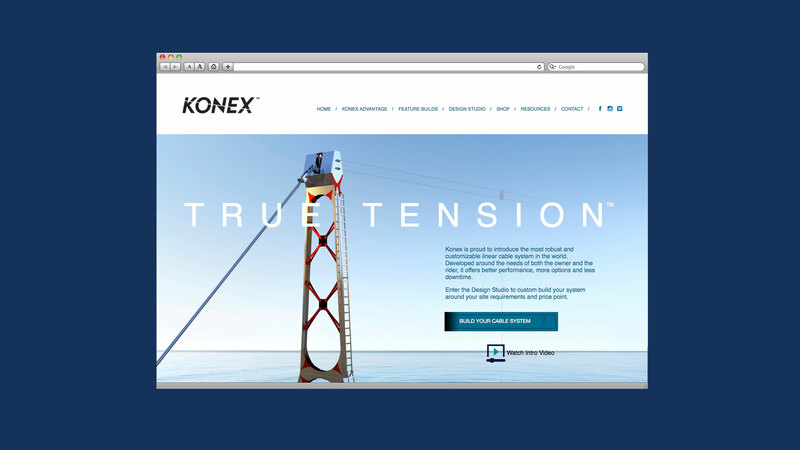 Konex’s goal was to build the leading brand in cable wakeboard park construction. 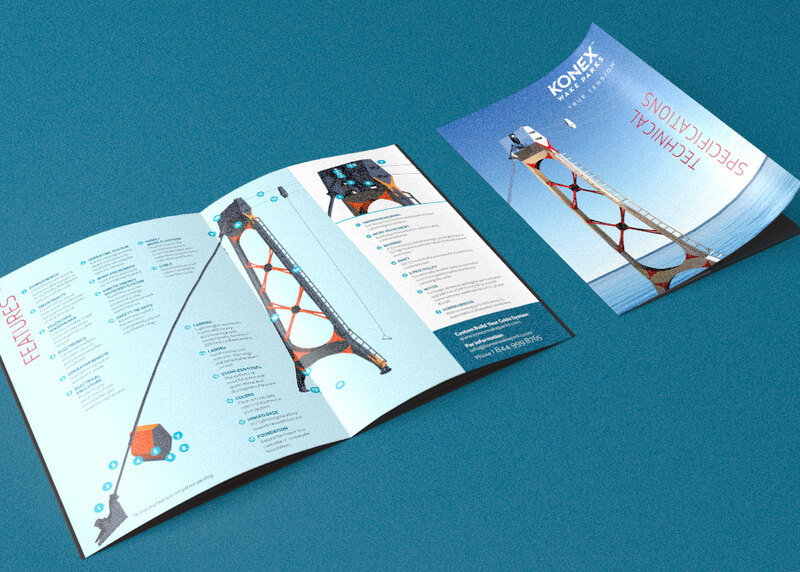 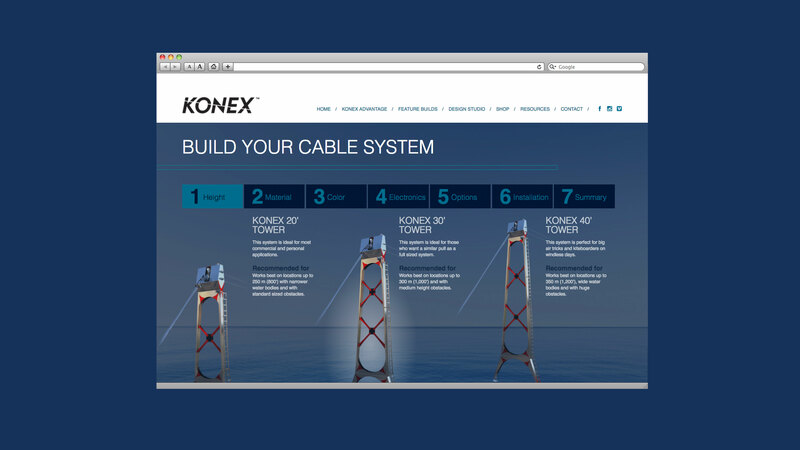 It was important to educate target audiences in the areas that make Konex unique – product innovations, parts reliability, potential benefits to guests, lower cost obstacles, and value in the cable systems (hotels, resorts, and camps). 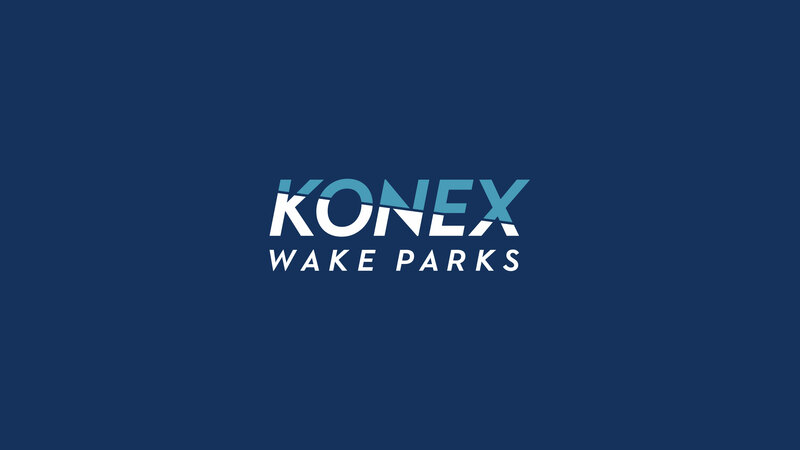 Today for those considering the construction of a wakeboard park, Konex is not only affordable, but the only cable-park construction firm that innovates with continuing improvement to their technology, resulting is less down time, and higher parts availability. 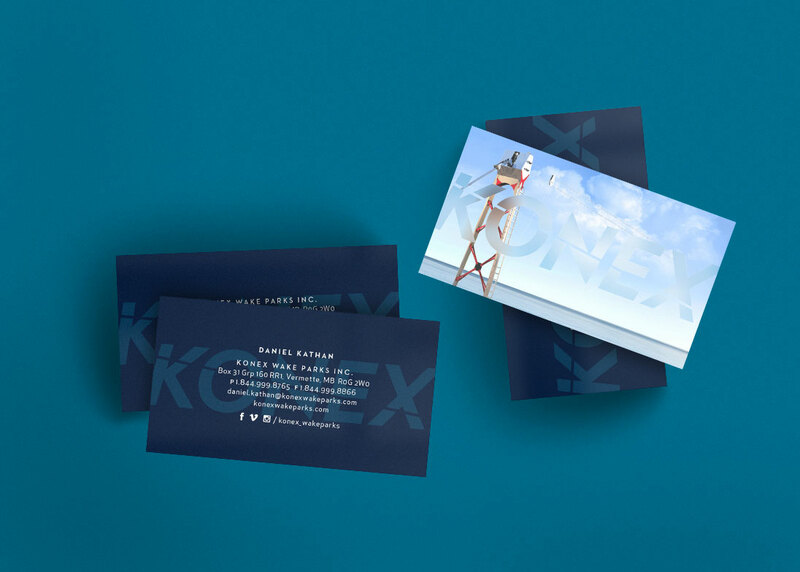 For Konex, Relish needed to translate the unique characteristics of the company into a brand identity that reflected innovation and strength, along with a new website and engaging video content.